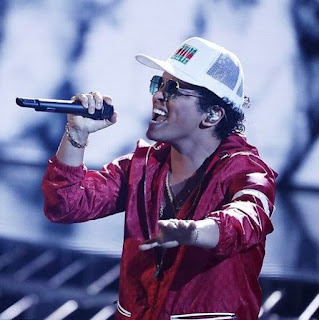 Bruno Mars brought his hip thrusting dance moves to the X Factor over the weekend. '24k Magic' still bops and no one can say the man doesn't know how to entertain a crowd. Bruno and Mark Ronson are also being sued over ‘Uptown Funk’ but are we surprised? The performance supports his new album of the same name, which is due in stores November 18th.